This year, patient Steve McDowell received what is arguably the best birthday present ever – a life-saving liver transplant – at Ronald Reagan UCLA Medical Center. Not only was the operation an amazing birthday gift, it was a landmark procedure – UCLA performed its 6,000th liver transplant, a national milestone accomplishment based on the United Network of Organ Sharing database. McDowell, a man in his 50s who lives out of state, was in the end stages of advanced liver disease when he underwent the operation June 30. He had been in and out of the hospital since November, and had been on the list for an organ transplant since January. “I was getting weary, and I was really worried,” McDowell said of the days leading up the transplant, which was performed by Dr. Ronald W. Busuttil, Distinguished Professor and Executive Chairman of the Department of Surgery at the David Geffen School of Medicine at UCLA and Chief of the Division of Liver and Pancreas Transplantation. “The week before they called me to tell me they had a liver it was touch and go. I was scared I wouldn’t make it,” said McDowell, who was released from Ronald Reagan UCLA Medical Center July 11. McDowell and his wife, Lisa, expressed their immense gratitude to the anonymous organ donor who made the transplant possible. “This experience has made us realize the life and death magnitude of organ donation and how important it is,” she said. Busuttil, an internationally renowned surgeon who also serves as the director of the Dumont-UCLA Transplant Center and the Dumont-UCLA Liver Cancer Center, credited a team-based, multidisciplinary approach for the center’s success. The liver transplant team includes more than 100 dedicated health care professional including; surgeons, physicians, nurses and other professionals. So far this year, it has performed more than 90 liver transplants. To date, 421 patients are on the UCLA waiting list for a new liver. The UCLA liver transplant program, one of the first five in the nation, was established in 1984 by Busuttil, who has directed it since its inception. 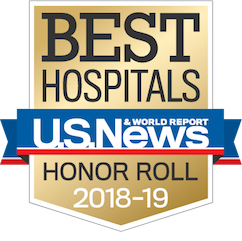 The Dumont-UCLA Transplant Center has become one of the largest and most respected programs in the world in the areas of research, education and patient care. Housed in the Pfleger Liver Institute at the Ronald Reagan UCLA Medical Center, the Dumont-UCLA Transplant Center combines innovative surgical technique, advances in immunosuppressive drugs and multidisciplinary clinical care to save the lives of thousands of adults and children with end-stage liver disease. The program has trained hundreds of transplant surgeons and physicians, many of whom currently lead top centers throughout the United States and abroad. Starting the program was no easy feat. Liver transplantation was in its infancy three decades ago. Only the University of Pittsburgh had established a significant program, under the leadership of pioneering transplant surgeon Dr. Thomas E. Starzl. There were a few other, smaller centers, but the operation was still considered by most to be experimental, Busuttil said. But Busuttil was determined that UCLA would establish the first successful program west of the Mississippi River. Other institutions in the West had tried, but were not successful. Frustration with the inability to offer patients with end stage liver disease this life saving procedure was the impetus for wanting to launch a program, Busuttil said. As a vascular surgeon, he could successfully manage a patient’s bleeding from circulation problems in the stomach or esophagus that developed from liver disease. But too often, these patients subsequently went into liver failure and died. Busuttil’s early efforts to initiate a liver transplant program at UCLA were met with skepticism. Ultimately, his request was approved, but with restrictions on the number of cases he could perform, and the implication was clear that he must succeed from the outset or his program would be cancelled. In the end, Dr. Busuttil and his team ended up doing 22 transplants in the program’s first year, with a survival rate of close to 80 percent. The UCLA liver transplant program has benefited more than patients at UCLA. The surgeons trained at UCLA in advanced transplantation techniques have taken their skills to patients in other hospitals, states and nations, improving survival and outcomes. In particular, UCLA has been at the forefront of advancements in scientific discovery utilizing new surgical techniques that use the limited resource of donor organs more effectively. The program is one of the first to show both in the laboratory and clinically that marginal liver grafts could be resuscitated prior to transplantation and successfully transplanted. Additionally, they have one of the largest experiences in split liver transplantation, in which a single donor organ is divided and transplanted in to two patients. 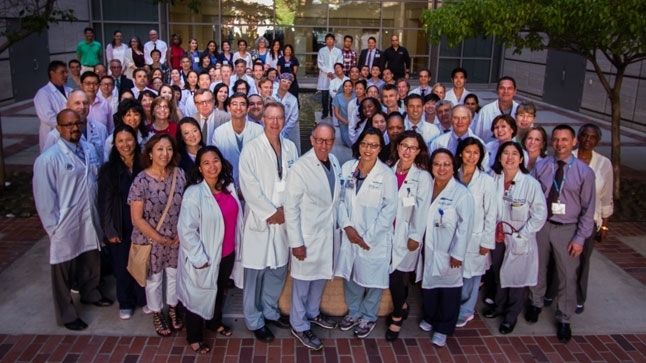 Further, the UCLA program has been on the vanguard of clinical research, offering patients access to the latest innovations in immunosuppressive therapy and treatment for transplantation-related complications such as rejection and infection. “We have grown up a lot since that first patient in 1984, but the fundamental mission, saving lives, has not changed,” Busuttil said.